The normal and abnormal behavior of an adult heart dynamics and its state of evolution towards one of these two states has been characterized successfully in the context of the theory of dynamic systems and probability. The diagnostic methodology of clinical application designed under these two theories has managed to evaluate in an objective and reproducible way the cardiac dynamics from the values of the frequency of the Holter registers. The automation of this methodology through the design of a software that can be docked in any operating system for PC, and contributes as a diagnostic aid tool to generate more timely responses to the patient's clinical condition. Additionally, the values of the probability of these spaces occupied by the attractor, calculated by the Software, allow using an interface that can be consulted by the specialist to evaluate how far a cardiac dynamic is from normality, analyzing in this way the effectiveness of the treatment. D. Núñez, “Poincaré, la mecánica clásica y el teorema de la recurrencia”, Rev. Mex. Fis. E, vol. 59, no 2, 2013, pp. 91–100. R. Devaney, "A first course in chaotic dynamical systems: theory and experiments”, New York: Addison- Wesley, 1992. A. Goldberger, L. A. Amaral, J. M. Hausdorff, P. Ivanov, C. K. Peng and H. E. Stanlev, “Fractal dynamics in physiology: alterations with disease and aging”, PNAS, vol. 99, no. 1, 2002, pp. 2466 – 2472. https://doi.org/10.1073/pnas.012579499. J. Rodríguez, et al., “Diagnóstico de la dinámica cardiaca durante 16 horas desde los sistemas dinámicos aplicable en UCI”, Rev. Univ. Ind. Santander Salud, vol. 49, no. 1, 2017, pp. 75-84. https://doi.org/10.18273/revsal.v49n1-2017007. J. Rodríguez, C. Correa and L. Ramirez, “Heart dynamics diagnosis based on entropy proportions: Application to 550 dynamics”, Rev. Mex. Cardiol., vol. 28, no 1, 2017, pp. 10-20. J. Rodríguez, et al., “Evaluación de arritmias con base en el método de ayuda diagnóstica de la dinámica cardiaca basado en la teoría de la probabilidad”, Archivos de Medicina, vol. 15, no. 1, 2015, pp. 33-45. J. Rodríguez, A. Bertolotto and O. Ospina, “Caracterización matemática de dinámicas cardiacas neonatales normales a partir de la teoría de la probabilidad”, Universitas Medica, vol. 58, no 1, 2017, pp. 1-18. https://doi.org/10.11144/Javeriana.umed58-1.cmdc. J. Rodríguez, et al., “Mathematical-physical prediction of cardiac dynamics using the proportional entropy of dynamic systems”, J. Med. Med. Sci., vol. 4, no. 8, 2013, pp. 370-381. J. Rodríguez, M. Sanchez, F. Barrios, N. Velásquez and J. Mora, “Exponential law of cardiac dynamics for physical–mathematical evaluation in 16 h”, Medicina Universitaria, vol. 19, no. 77, 2017, pp. 159-65. https://doi.org/10.1016/j.rmu.2017.09.003. M. R. Spiegel and L. J. Stephens, “Probabilidad y estadística”, Bogotá: Mc Graw Hill. 2003. A.M. Mood, “Introduction to the theory of statistics”, McGraw-Hill Education, 1974. 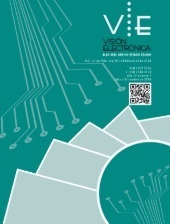 J. Gallo, J. Farbiarz and D. L. Alvarez, “Análisis espectral de la variabilidad de la frecuencia cardíaca”, IATREIA, vol. 12, no. 2, 1999, pp. 61-711. J. P. Higgins, “Nonlinear systems in medicine”, Yale. J. Biol. Med., vol. 75, 2002, pp. 247-60. M. Costa, A. L. Goldberger and C. K. Peng, “Multiscale Entropy Analysis of Complex Physiologic Time Series”, Phys. Rev. Lett., vol. 89, no. 6, 2002, pp. 1021–1024. https://doi.org/10.1103/PhysRevLett.89.068102. G. Schmidt, et al., “Heart-rate turbulence after ventricular premature beats as a predictor of mortality after acute myocardial infarction”, Lancet, vol. 353, 1999, pp. 1390–1396. https://doi.org/10.1016/S0140-6736(98)08428-1. A. Voss, et al., “Linear and nonlinear heart rate variability risk stratification in heart failure patients”, Computers in Cardiology, 2008. https://doi.org/10.1109/CIC.2008.4749102. R. Maestri, et al., “Nonlinear indices of heart rate variability in chronic heart failure patients: redundancy and comparative clinical value”, J. Cardiovasc. Electrophysiol., vol. 18, no. 4, 2007, pp. 425–33. https://doi.org/10.1111/j.1540-8167.2007.00728.x. S. Ahmad, A. Tejuja, K. D. Newman, R. Zarychanski and A. J. Seely, “Clinical review: a review and analysis of heart rate variability and the diagnosis and prognosis of infection”, Crit Care, vol. 13, no. 6, 2009, pp. 232. https://doi.org/10.1186/cc8132. W. L. Chen and C. D Kuo, “Characteristics of heart rate variability can predict impending septic shock in emergency department patients with sepsis”, Acad Emerg Med, vol. 14, no. 5, 2007, pp. 392–397. https://doi.org/10.1197/j.aem.2006.12.015. V. E. Papaioannou, et al., “Relation of heart rate variability to serum levels of C-reactive protein, interleukin 6, and 10 in patients with sepsis and septic shock”, J Crit Care, vol. 24, no. 4, 2009, pp. 625. https://doi.org/10.1016/j.jcrc.2008.11.010. J. Rodríguez, et al., “Predictions of CD4 lymphocytes’ count in HIV patients from complete blood count”, BMC Medical Physics, vol. 13, no. 3, 2013. https://doi.org/10.1186/1756-6649-13-3. J. Rodríguez, “Teoría de unión al HLA clase II teorías de Probabilidad Combinatoria y Entropía aplicadas a secuencias peptídicas”, Inmunología. vol. 27, no. 4, 2008, pp. 151-166. https://doi.org/10.1016/S0213-9626(08)70064-7. J. Velásquez, et al., “Geometrical nuclear diagnosis and total paths of cervix cell evolution from normality to cancer”, J Cancer Res Ther, vol. 11, no. 1,2015, pp. 98-104. https://doi.org/10.4103/0973-1482.148704. C. Correa, et al., “Geometric diagnosis of erythrocyte morphophysiology”, J. Med. Med. Sci., vol. 3, no. 11, 2012, pp. 715-720. J. Rodríguez, et al., “Theoretical generalization of normal and sick coronary arteries with fractal dimensions and the arterial intrinsic mathematical harmony”, BMC Med Phys, vol. 10, no. 1, 2010, pp. 1-6. https://doi.org/10.1186/1756-6649-10-1.